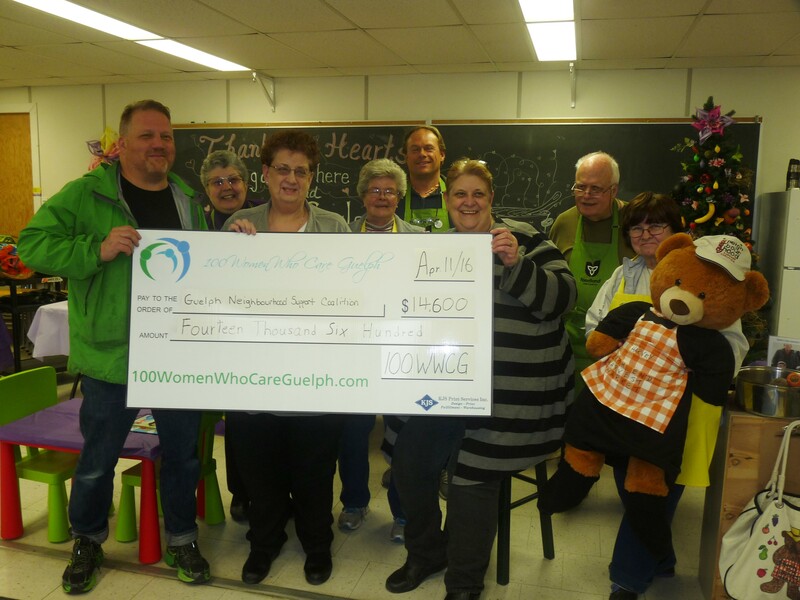 Our 7th meeting of 100 Women Who Care Guelph raised the bar on donations! Thank you to all of the women who joined us last evening to hear from Family & Children’s Services of Guelph and Wellington County Executive Director, Sheila Markle who helped us to understand the far reaching impact of our donation to their pilot fund to assist young adults make the transition from supported living in foster care or other teen programs to independent living in a moving presentation. You can find a transcript of Sheila’s talk on our website here! All three charity presentations were thorough and enthusiastic. The audience was fully engaged and asked thoughtful questions. In spite of the fact that all three charities were worthy contenders, a choice had to be made! Nominator Linda Cowbrough and Member / Sponsor Irene Szabo showcase our Meeting 7 Donation to the Guelph Neighbourhood Support Coalition in support of the North End Harvest Market. 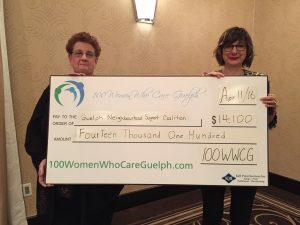 As we listened to Sheila Markle’s Thank You presentation, votes were tallied and Guelph Neighbourhood Support Coalition was this month’s successful recipient! 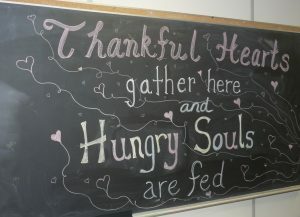 They will receive this meeting’s quarterly donation to fund their North End Harvest Market. Here’s a photo of your combined donation and our nominating member. Some additional great news from the April 11th meeting; We’ve had a number of new members sign up over the past 4 months, so this month’s donation reflects our Voting Membership count which now stands at 146, meaning when all the pledges come in, our donation will total $14,600! Congratulations to all of our 100+ Women Who Care for making a real contribution to your local community. 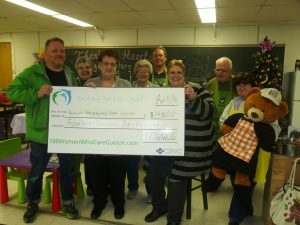 (Once again, we didn’t even have an accurate count on new members when we filled out the big cheque!) 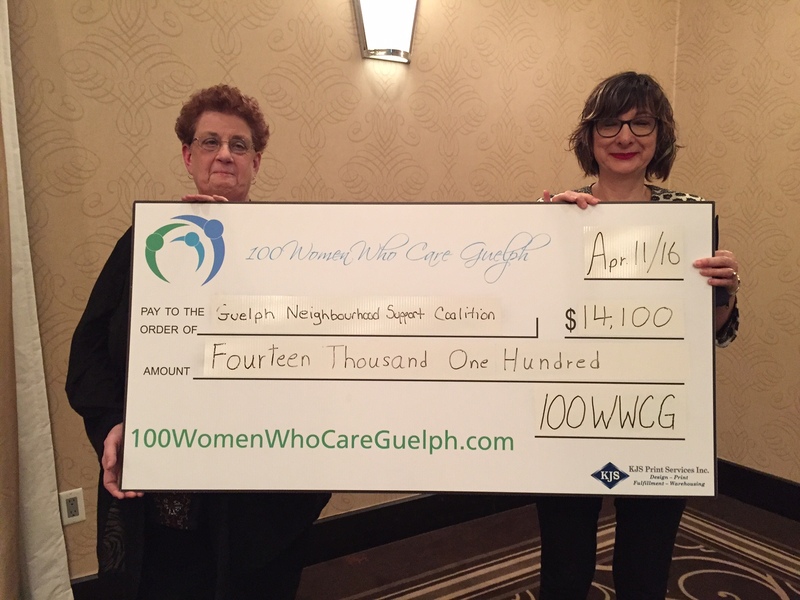 Congratulations as well to Guelph Neighbourhood Support Coalition! was the result of the vote on removing the restriction on Operational funding. After a thoughtful presentation by Cathy Barr of Imagine Canada and our own Diane Nelson, the members in attendance voted overwhelmingly in favour of removing the restriction. 83 % of the votes cast were YES to removing that restriction. 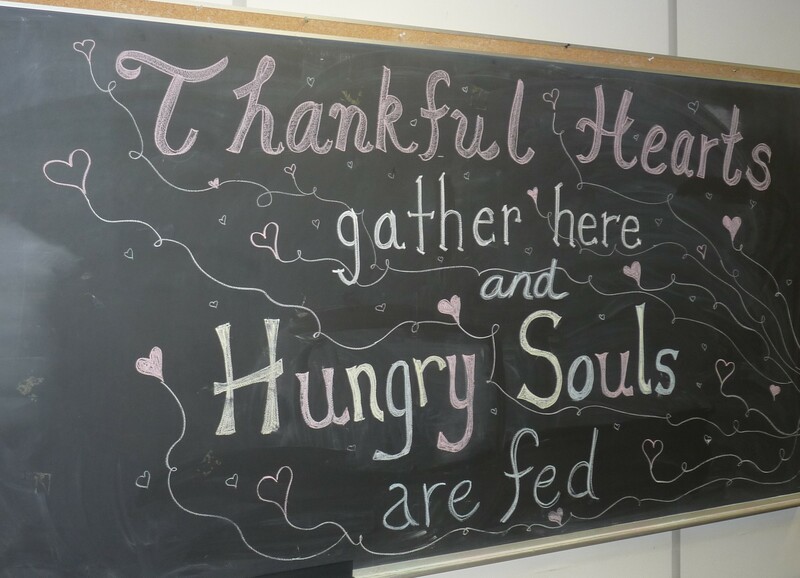 Our membership’s generosity is an inspiration…. Didn’t stay after this meeting? We hope you can stay after the next one so you can make some new connections, enjoy some refreshments and have a fantastic time. And thank you again to all the women who participated. Together we are all making a difference! This entry was posted in Notes on Meetings on April 14, 2016 by Miriam Vince.